Our Best Event of the Year is coming up….Saturday after Thanksgiving! On Saturday-we will be having our Holiday Party starting with Free Stuff…With a min. $10 purchase you will get a free pincushion kit, 2011 Pincushion. 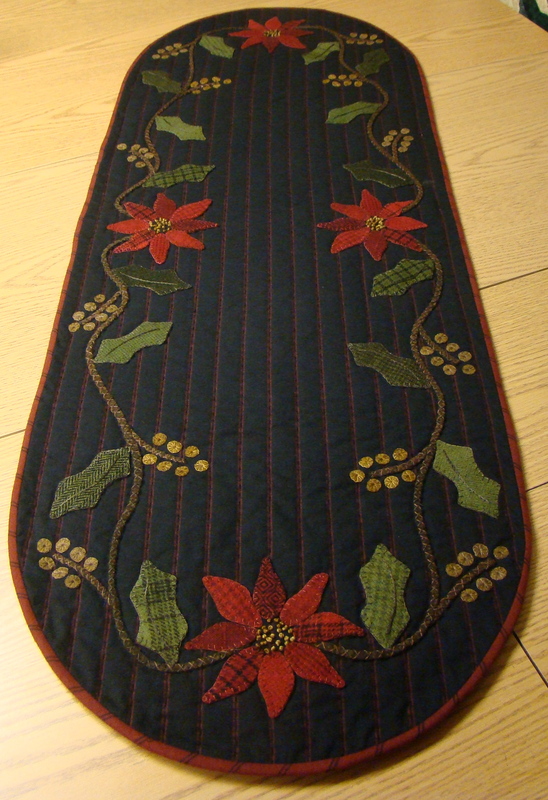 Pattern for Holly & Poinsettia table runner, a coupon book for all of 2012! We will be giving away awesome door prizes from some of our most popular vendors…Moda- you know what this means? Fabric, even a bundle of my newest line due out in April!! !, Laundry Basket Quilts, Old Green Cupboard, Checker Distributors, Graceful Reminders, Threads that Bind and of course Primitive Gatherings. We have a ton of door prizes this year for everyone! For those of you who can physically come into the store we will also be having cookies and hot cider and the TRUNK SHOW this year will be from Joanne Blank-we all love Joanne and her work, the trunk show will be at 10am and 1pm. 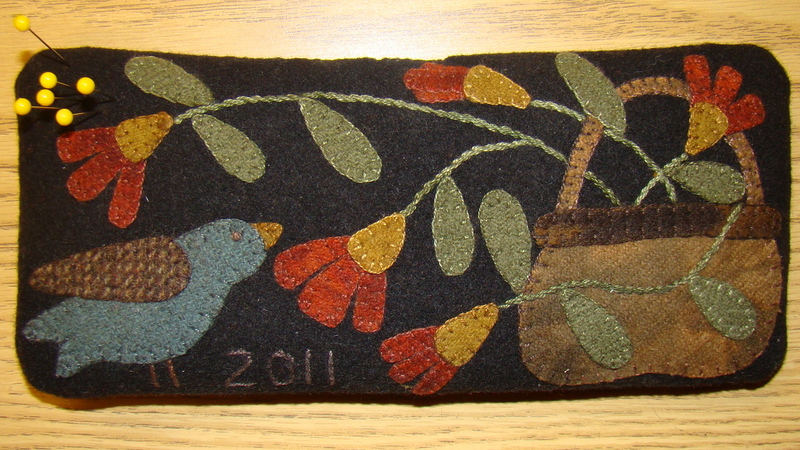 Her trunk show is call “By my Hand”…Joanne is well known for her hand work and is very passionate about her quilting. Previous Post And we r open for business HOUSTON!!!! I would appreciate a link to the store in the newsletter. I know it is early and I may have missed it, but the link at the bottom only goes to the blog where again I don’t see a link to the store. It sounds wonderful, but I don’t know where your shop is! Details, please. I’d love to come check it out! yippy skippy…although I can’t be there physically I will be one of the followers who make the internet go down!!! wish I lived closer. happy thanksgiving. Also, using a Primitive Gathering gift card would be considered as a $10 purchase?? Lisa, I LOVE these designs!!!! Can’t wait to get my order in! Happy Thanksgiving! I may have 25 family members here–most ever!!! The Table Runner is lovely! The pin cushion is adorable. Can’t wait to go shopping! Happy Thanksgiving to all! WIll be waiting my turn on the internet come Thursday to Sunday – would surely love to be at your shop on Saturday for the “Holiday Gathering”. Know how special that must be given your great booth set-ups at the shows. Thank heavens for the internet! Again…Happy Thanksgiving! Hi Lisa! Happy Thanksgiving to you, your family and all the terrific PG staff! You continue to amaze us with your yummy designs, outstanding customer service and your inspiring dedication … We are very grateful! Does this offer extend to overseas orders? I can’t wait to get on line tomorrow and order the runner kit–I wish I lived close enough to come to your shop—beautiful things…. Thank you! Thank you! I got my order and the Great Freebies! I love them.